We admit it – the client portal can be hard to figure out. 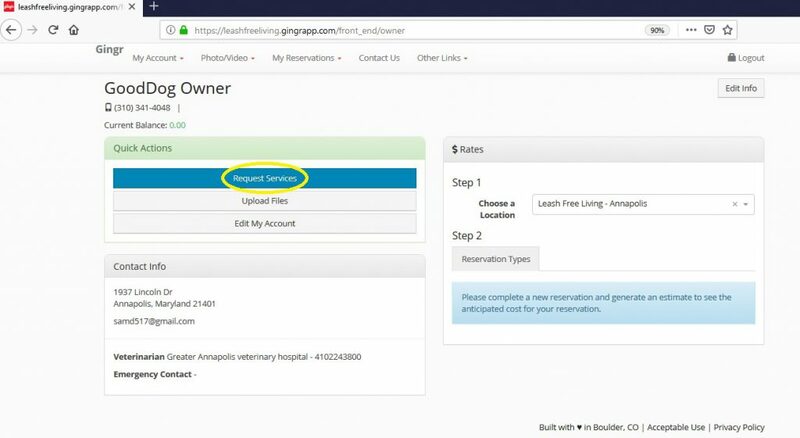 Here is a step by step guide to requesting a reservation to make the process a little easier. If you haven’t created an account on our client portal, you can do that at this link. If you already have an account, log on to that same link and follow the instructions below. Click Request Services from the “My Account” page. You can also get to the “Request Services” link if you click the “My Reservations” drop down menu. 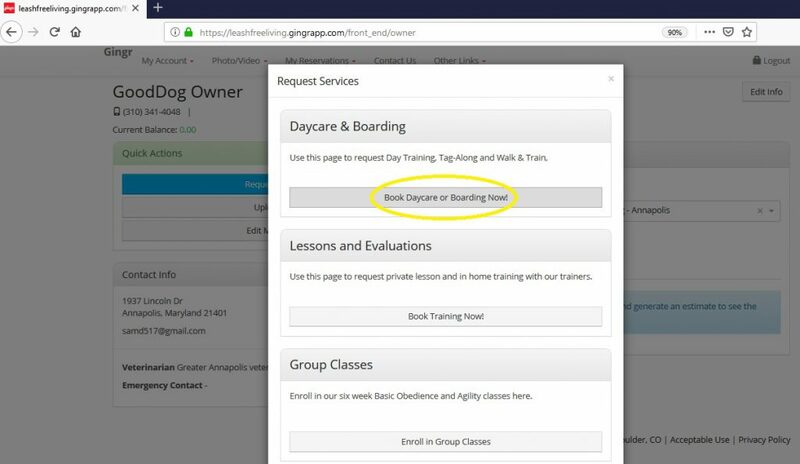 Click the Day Care & Boarding Option for Day Training (or the Tag-Along program if you are enrolling in that). Select “Day Training Enrichment Program” from the drop down menu. 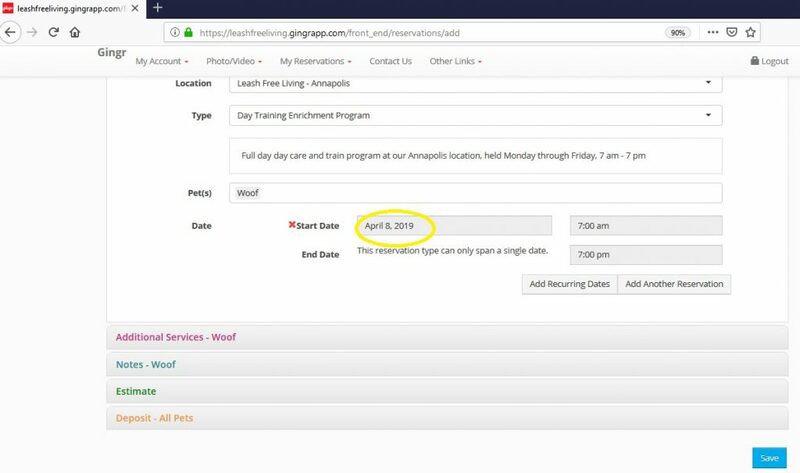 You can book multiple dates at a time. 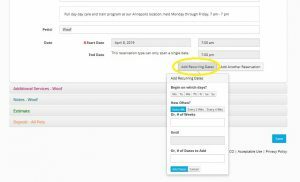 If you would like to request regular days of the week, click “Add Recurring Dates” and use the options listed to auto-select dates. 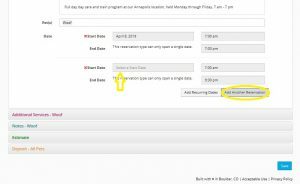 You can also add dates individually using the “Add Another Reservation” button. Everyone gets some training during Day Training, but if you’d like us to work on something specific with your dog, you can add on an Individual Training Session to their day. 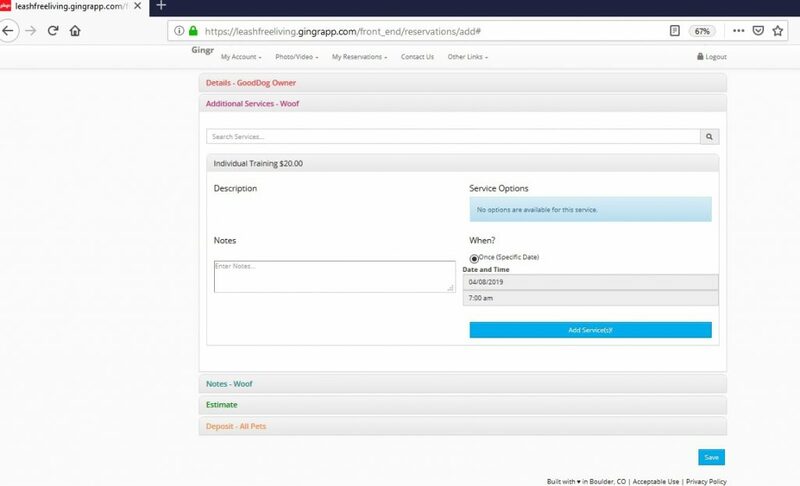 There is a $20 fee for the session, and you can request what skills or behavior problems we should work on.